Item # 313278 Stash Points: 5,495 (?) This is the number of points you get in The Zumiez Stash for purchasing this item. Stash points are redeemable for exclusive rewards only available to Zumiez Stash members. To redeem your points check out the rewards catalog on thestash.zumiez.com. 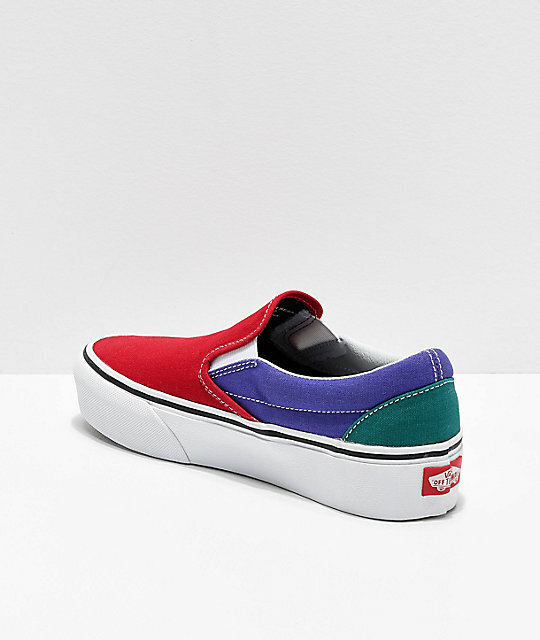 Beef up your Vans collection with the Vans Slip-On Colorblock Platform Shoes. 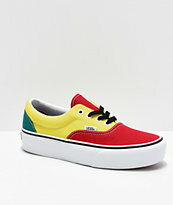 Featured in a red, purple and green colorblocked design, these shoes ooze striking color and style. 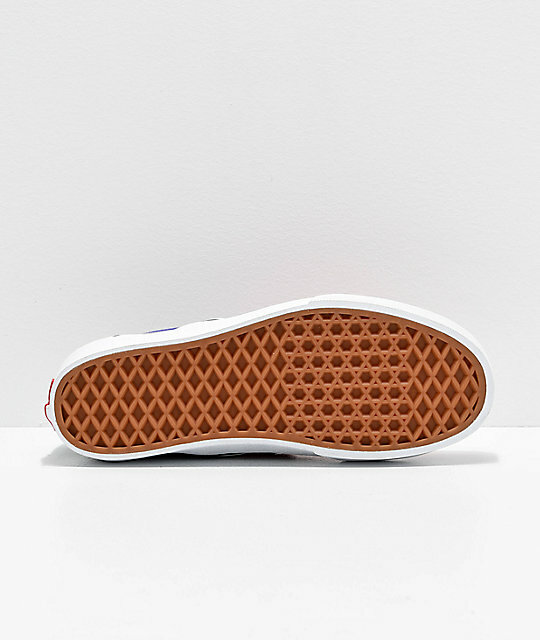 Finished with a padded insole for comfort and a platform silhouette for a fashion-forward look, these shoes are a must-have. 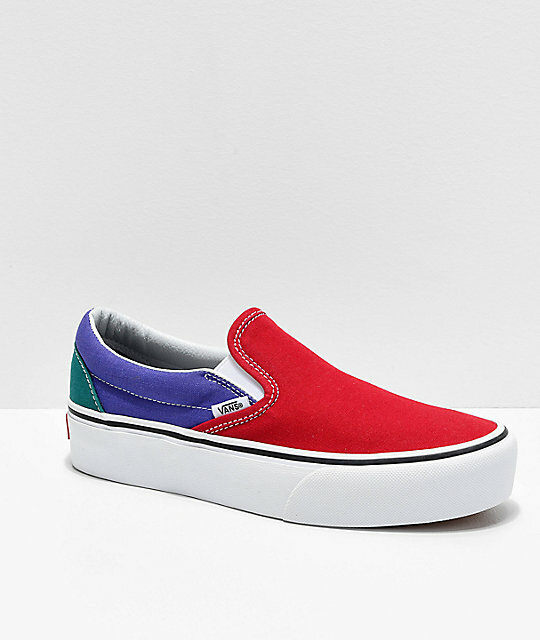 Slip-On Colorblock Platform Shoes from Vans. 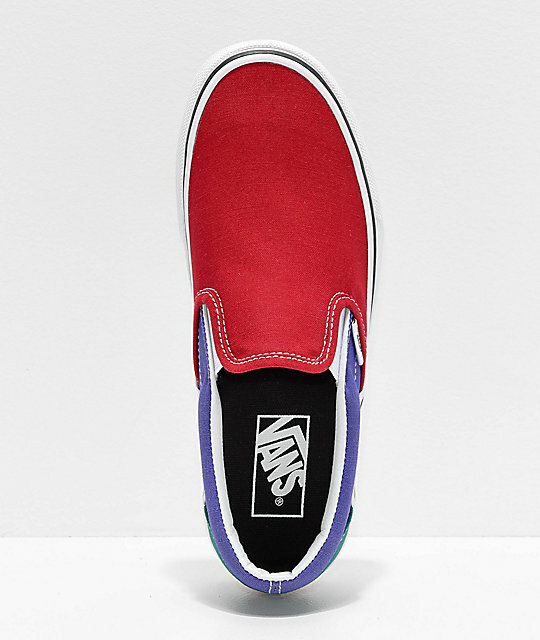 Canvas upper in a red, purple and green colorblock design. Youth and women's specific sizing.